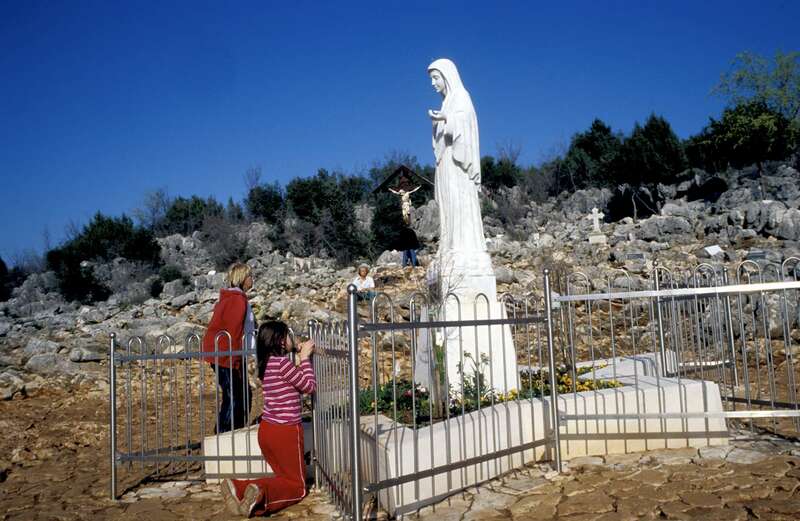 Statue of the Virgin Mary marks the spot where six teenagers from Medzugorge claim that the mother of Jesus came to them in a vision in 1981 and gave them a message of peace. Thousands of religious pilgrims from around the world visit the site each year. Several of the teenagers, now grown, say they still have regular visions of Mary, who continues to give them messages to share with the world.